"There were too many high points, too many excellent performances to single out"
Charlie ‘Bird’ Parker in his short lifetime revolutionised jazz improvisation, changing the face of jazz forever and shaping the course of 20th century music. Pulitzer prize winning poet Yusef Komunyakaa’s epic poem Testimony provides the libretto for a stunning new musical work paying homage to this jazz great. 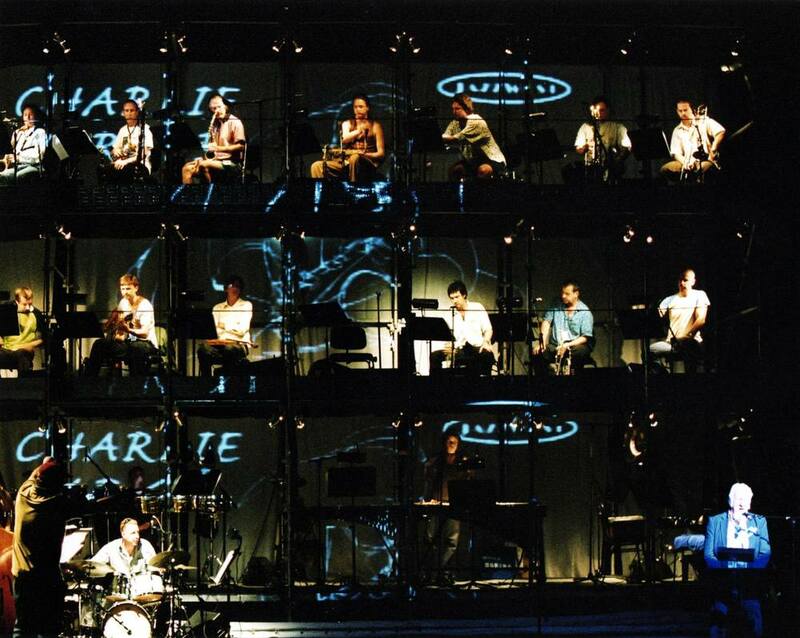 With original music by the eminent Australian composer and saxophonist Sandy Evans, Testimony features the Australian Art Orchestra and eleven vocalists. Nigel Jamieson directs. In 1995 ABC producer Christopher Williams envisioned a piece for radio with jazz as its central theme. He joined the creative forces of Evans and Komunyakaa, Professor at Princeton University and elected to The Academy of American Poets. In 1999 Testimony was broadcast on ABC’s Soundscapes. Komunyakaa’s extraordinary libretto, comprising 14 sonnets for voice, took several years to complete. Sandy Evans’ score explores Charlie Parker’s influence on an eclectic range of popular music, and in particular bebop . She is inspired by Parker’s ideas and makes no attempt to recreate or copy Parker’s unique style of performance. The result is remarkably rich and evocative, encompassing a wide range of musical styles and performers – a moving testimony to Parker’s genius and a milestone in Australian music theatre. Testimony was an initiative of Sydney Festival and Sydney Opera House in association with the Melbourne International Arts Festival.